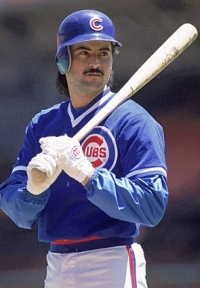 Born in the capital city of Cuba on the 24th of September 1964, Rafael Palmeiro was a left fielder and first baseman who enjoyed a long and successful career in MLB. Having debuted in the American League with Chicago Cubs in 1986, he moved to Texas Rangers in 1989 after three seasons with the Cubs. In 1994, he transferred to Baltimore Orioles where he remained until 1998 before moving back to the Rangers and playing another four seasons there. He retired from the game after moving back to Baltimore in the 2004 season. Palmeiro has appeared in the All-Star line-up on four occasions, claiming the Golden Glove award thrice. He is one of only four players in baseball history to record 3000 hits and 500 homers. However, he tested positive for a banned substance and was banned few days after hitting his 3000th ball. Palmeiro’s former teammate from Texas, Jose Canseco, revealed in his autobiography that Palmeiro used steroids, claiming that he personally injected them into the player. When Palmeiro was taken to court, he said that he had never used any banned substance. However, he tested positive a few months later and was banned for 10 days. It was then that he came out saying that he had never intentionally taken any steroids. According to him, the tests he had taken for the previous two years prior to 2005 were negative. Even the test that was taken just 20 days after being tested positive was also negative. When he returned to the field, Palmeiro famously covered his ears with plugs to cancel out the loud jeers of the crowd in Toronto. 1995 was the year when Palmeiro’s career took off as he managed to score 38 or more home runs in each season up to 2003. During these nine seasons, he scored 373 homers in addition to more than hundred runs in each. However, Palmeiro failed to become the leading home run scorer in each of these campaigns and remains the most prolific hitter in history to have not claimed the award for the highest home runs. Palmeiro’s 500th home run came in 2003 as he cemented his name in history versus Cleveland Indians on the 11th of May. A couple of years later, he joined Eddie Murray, Willie Mays, and Hank Aaron as the legends who achieved 3000 hits as well as 500 homers. Since most of his homers were hit with the Orioles and the Rangers, he remains one of four baseball players to score 200 homers for two separate teams. Considering Palmeiro never featured in the World Series, he remains the man with the highest number of MLB games to have never featured in the prestigious tournament with 2831 matches under his belt. Although Palmeiro achieved success and established himself as one of the legends of the game, his alleged use of steroids will always be an anchor weighing him down. However, his achievements are testimony to a truly magnificent career and Palmeiro insists that he never used illegal or banned substances in his time on the ballpark. He became a free agent in 2005, but has still not signed with any team since.